The ability to match each cancer to the ideal treatment would be invaluable. Charis’ research attempts to do this by identifying the ‘kill switch’ that triggers cell suicide in blood cancers. Using cutting-edge technology, she profiles an extensive network of life and death proteins in cancer cells to discover the most potent druggable killers in blood cancers. 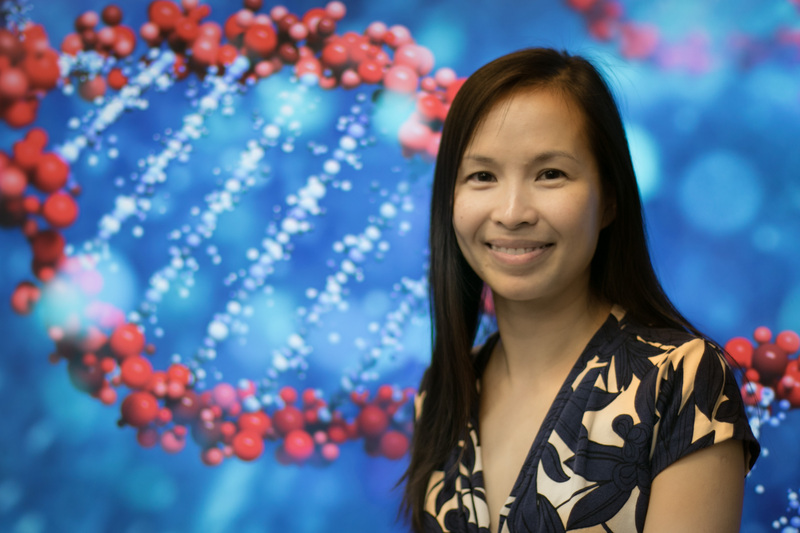 A NHMRC Early Career Fellow at the Walter and Eliza Hall Institute of Medical Research (WEHI), Charis holds a PhD from the ANU, a Master in Public Health from the University of Sydney and a BSc (Hons) from the ANU. Since 2011, she has published 18 papers and secured & $0.5M of competitive funding. Her 16 prestigious awards include an Australia-America Fulbright Scholarship, a National Fresh Science Award and a BD Science Communication Award. Charis’ growing reputation in the field has resulted in invitations to be a panelist at Melbourne Health Research Week (2018) and Diabetes Australia Expo (2017). Charis is a mum to a one-year old daughter and a role model for girls and women in science. She partners with a local primary school to deliver science activities in classroom and hosts Scientific Discovery Tours at her institute.